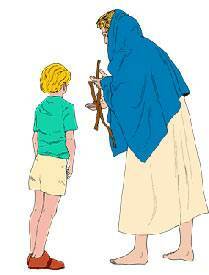 In the long ago days there was a poor woman who lived at the seaside in a place called Zarephath. She had a little boy to love, but she had no husband to work either for him or for her. 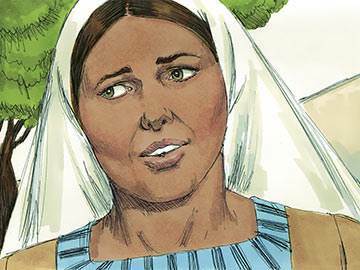 The fields of Zarephath were bare and brown. 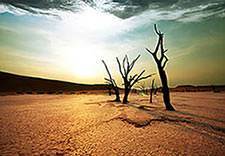 There had been no rain for so long that the ground was baked hard. Neither corn nor fruits would grow. 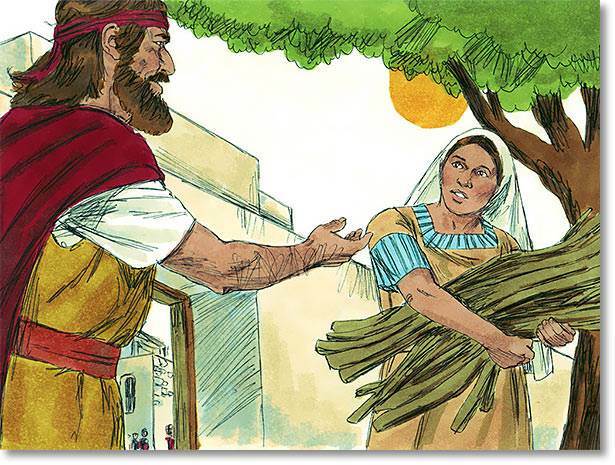 The widow of Zarephath had no money and no bread. 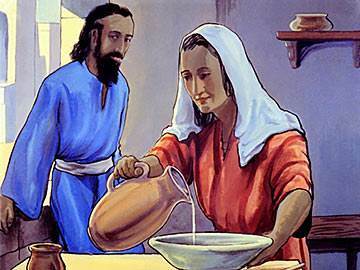 She had a handful of flour in the barrel, and a little olive-oil in the jar, and that was all. Her little boy and she went out beyond the city gate to look for sticks to make a fire to bake one little cake. While they were gathering sticks, they saw a stranger coming towards them. He wore a cloak of camel’s hair, fastened with a belt of leather. He said to the woman, "Please give me a drink of water." 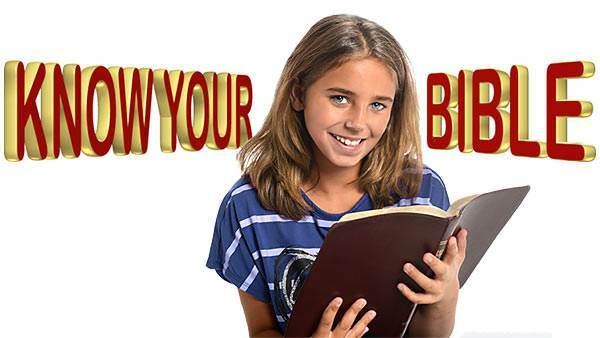 And she was going to fetch it, he called to her, "Bring me, I beg, a piece of bread in your hand." The woman knew that his name was Elijah. 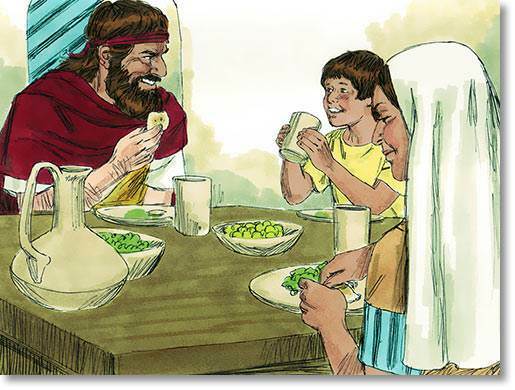 Now she said to him, "I have no loaf of bread, only a handful of flour in the barrel and a little olive oil in the jar, just enough to make one little cake for my son and myself. After that there will be nothing left." Elijah said, "Don’t be afraid, but make me a little cake first. For this is what the Lord, the God of Israel, says, 'The jar of flour will not be used up and the jug of oil will not run dry until the day the Lord gives rain on the land.'" And the kind widow woman lit her fire. She mixed her dough, and baked a little cake of bread. She gave it to Elijah, and lo! in the barrel there was still a handful of flour, and in the jar there was still a little olive oil. She was able to mix a cake for her little boy and herself to eat, and even yet there was more. 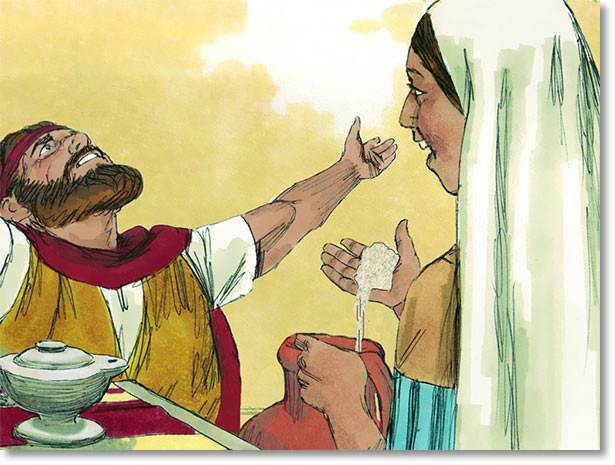 She let Elijah, who was God’s servant, stay at her house, and she gave him food. While he was there the barrel of flour never became empty, neither did the jar of olive oil fail. There was always enough for her, her son, and for Elijah.